What if there there were a magazine made just for you? One that contained just the things you like? One of the hottest trends on the net is just that. You decide what is in your magazine. You can easily share it with your friends who like the same things. You can add an article to your magazine in just three or four mouse clicks. You can invite a few friends with similar interest to add articles to your magazine. It's called Flipboard. It's an app for Apple iOS, Android, Windows, Blackberry, Kindle Fire and Nook.  I created this Tallapossa Treasure magazine in just a couple minutes. This is what the cover and a few pages look like on a phone, tablet or eReader. If you have the app installed, launch it and click on "Your Subscriptions", then search for Tallapoosa Treasure. You can add it to your list of Magazines.